Splits into 3 miniatures when defeated. Noisy when they're together. An odd Creep that can quickly overwhelm through sheer force of numbers. The fact that each one must essentially be defeated 4 times is a boon against slow firing or single target Towers. Typically are more useful near the end of a maze where their miniatures can sneak past threats and score a few hits against the other player's Tree. 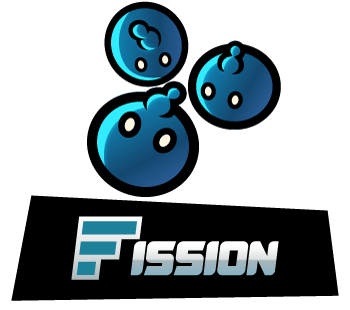 Unlike their predecessors, Blue Giants, Fissions have no armor and their HP is middling at best, so they may pair up with Starburst to increase their longevity. Alternatively, they can work with Quickfire or Fire Rain for a high volume assault. A massive pastoral clan that values structure and diplomacy among its neighbors. Their system thrives on specialized roles with everyone doing their part, and resources are divided carefully among members. Are on good terms with most other Creep clans, especially Blue Giants. Experts at multitasking. Their designs are somewhat inspired by cartoon bombs since they "explode" into 3 miniatures when hit. According to old sets of notes, Blue Giants were originally supposed to be the ones who split up when defeated, but Theory must have decided to make them separate types of Creeps at some point.